This will install the Eagle package along with any missing packages upon which Eagle is dependent. You will see a message saying that Eagle has been loaded. which will automatically open your web browser to our GUI. When the Eagle GUI is run, it opens the web browser to a home page. At the top of the page is a navigation bar. 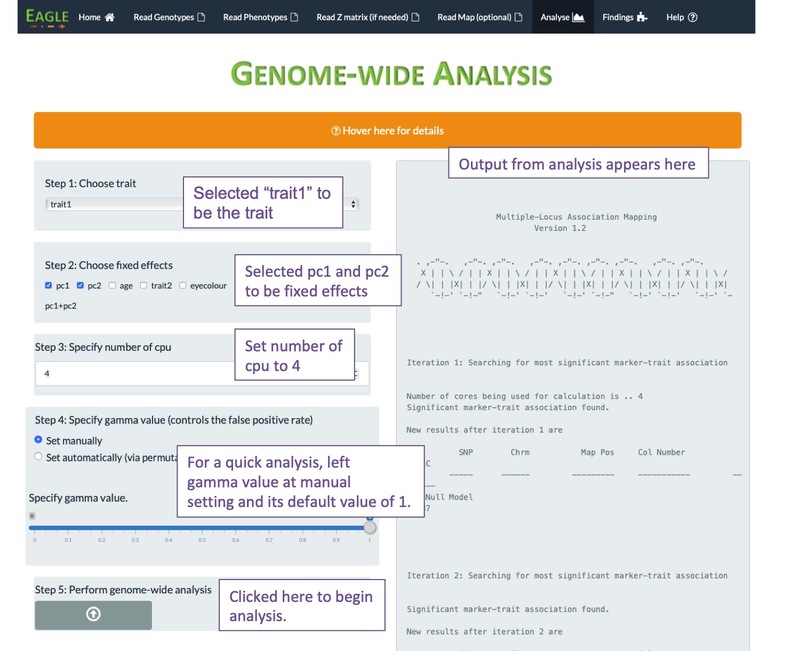 To perform an analysis, work your way through each navigation item, from left to right, with the Read Z matrix item being only if you have multiple trait measurements per individual and Read Map item being optional. 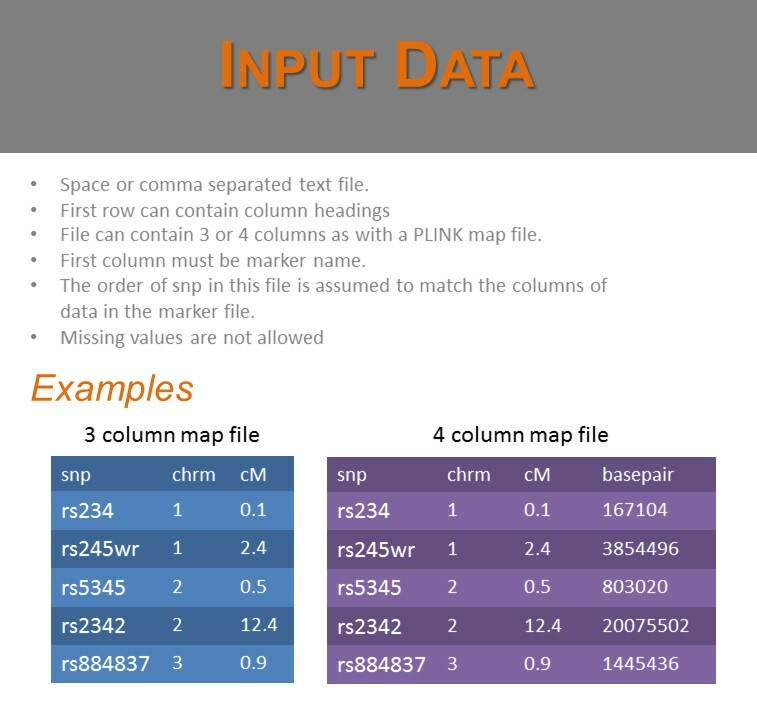 There are two types of marker data file that Eagle can handle; a PLINK ped file and a plain text file. Below, is an example of each of these file types. 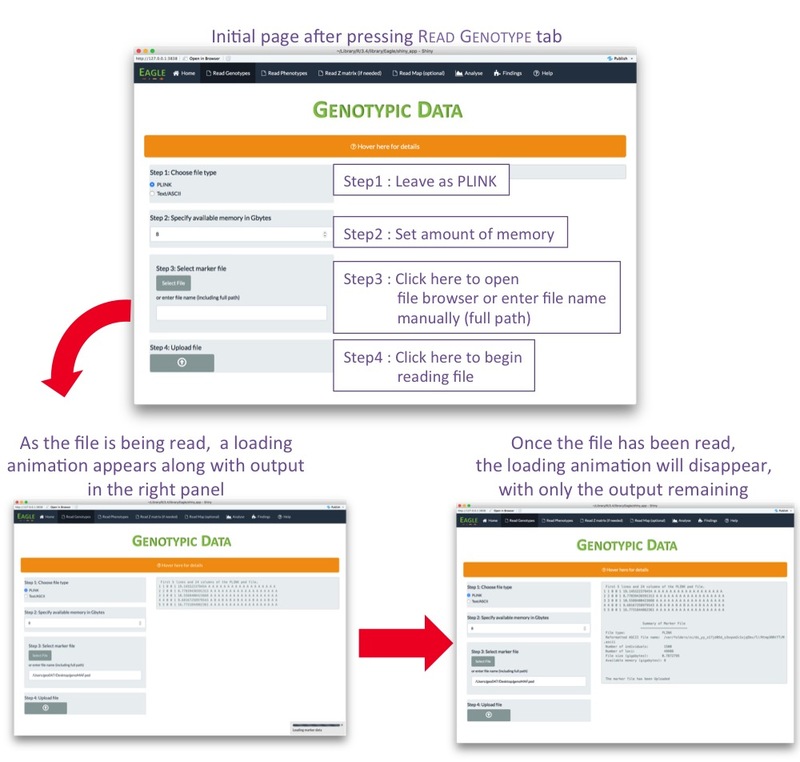 To read in the marker data which are in PLINK format, click on the Read Genotype tab in the navigation bar at the top of the home page and complete the form (see below). After the upload file button has been clicked, a loading animation will appear in the bottom right of the page. Once the loading is complete, summary information will appear on the right of the page. 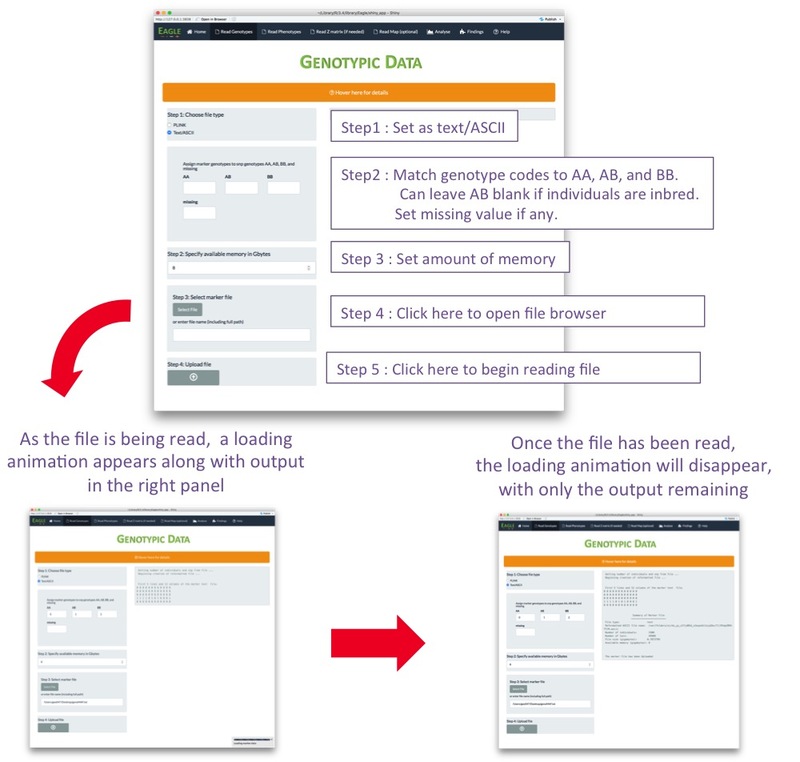 To read in the marker data which are in a plain text file, click on the Read Genotype tab in the navigation bar at the top of the home page and complete the form (see below). After the upload file button has been clicked, a loading animation will appear in the bottom right of the page. Once the loading is complete, summary information will appear on the right of the page. 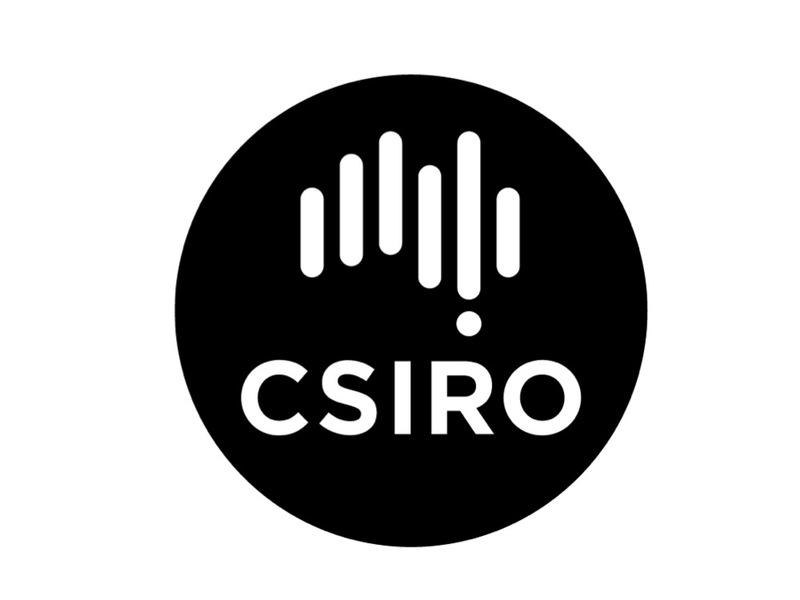 The file containing the phenotypic data is a plain text file. Below are three examples of what this file could contain. 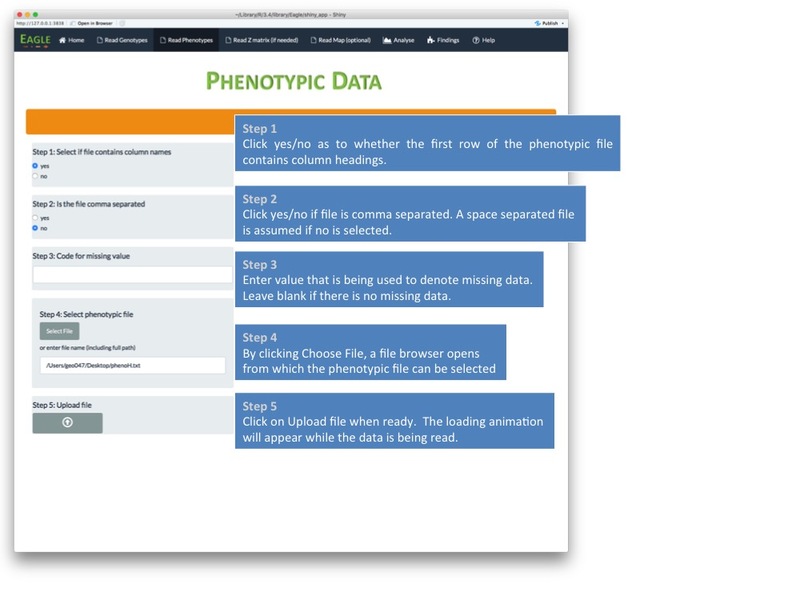 To read in the phenotypic data, click on the Read Phenotype tab in the navigation bar and complete the form (see below). After the upload file button has been clicked, a loading animation will appear in the bottom right of the page. Once the loading is complete, summary information will appear on the right of the page. The file containing the marker map is a plain text file. Below are two examples of what this file could contain. 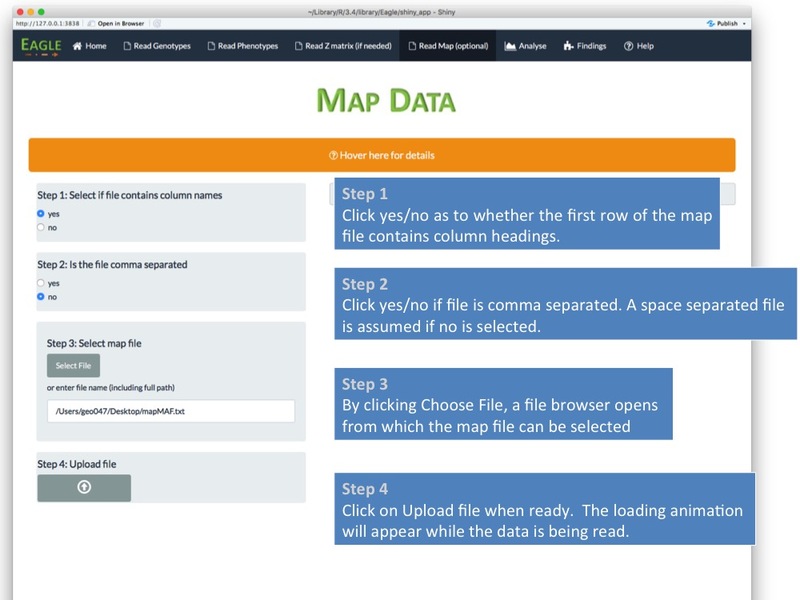 To read in the map data, click on the Read Map tab in the navigation bar and complete the form (see below). After the upload file button has been clicked, a loading animation will appear in the bottom right of the page. Once the loading is complete, summary information will appear on the right of the page. The Z matrix file is a plain text, space separate file with no row or column headings. Each row contains 0's and a single entry that is 1. 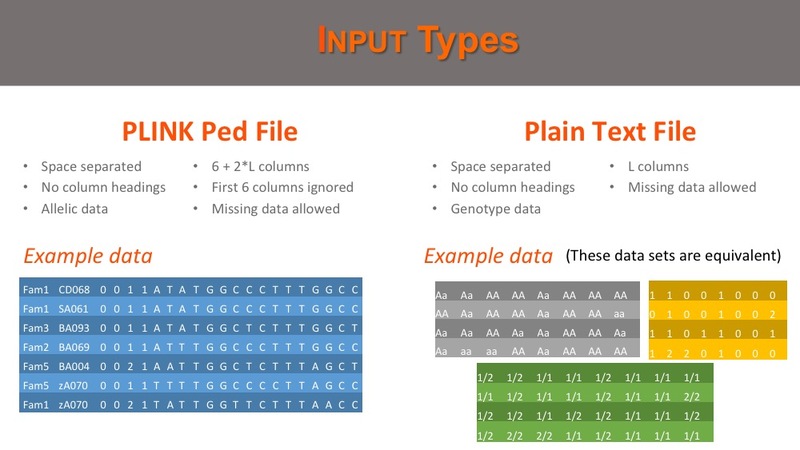 If the ith row and jth column contains a 1, then this means the ith row of the phenotype file corresponds to the jth row of the marker file. A row can only contain a single entry with a value of 1. 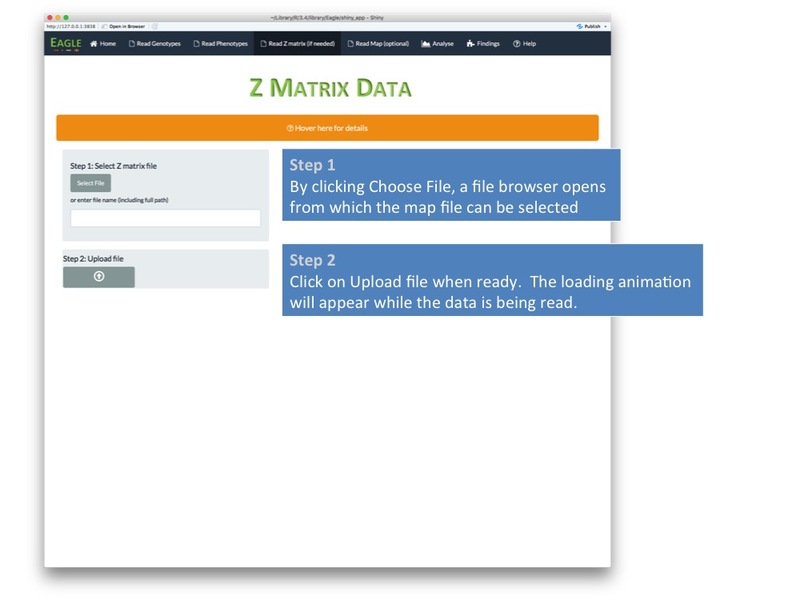 To read the Z matrix file, click on the Z matrix tab in the navigation bar and complete the form (see below). After the upload file button has been clicked, a loading animation will appear in the bottom right of the page. Once the loading is complete, summary information will appear on the right of the page. 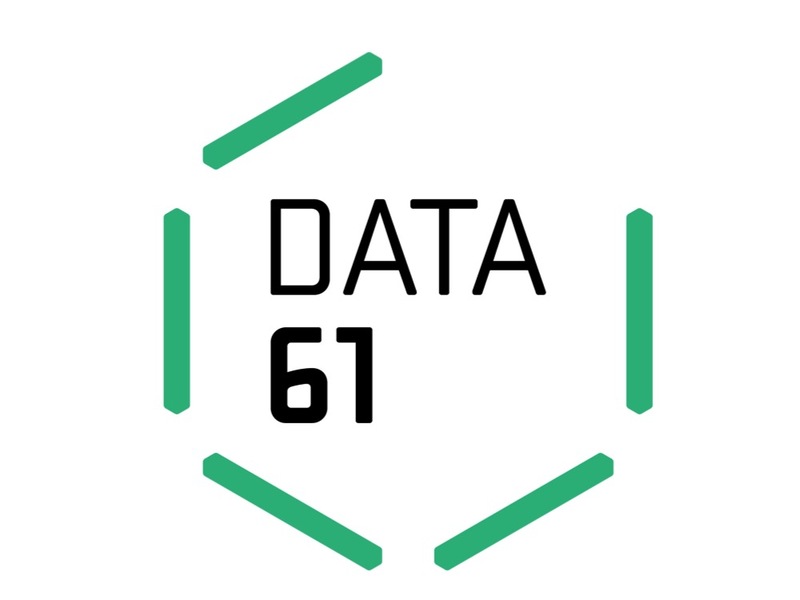 We will assume that you have loaded your data successfully into Eagle and are now ready to analyse the data. Eagle finds SNP-trait associations by building the "best" model. We measure "best" via the extended BIC statistic. The false positive rate for this statistic is controlled by the gamma parameter. Values closer to 1 (0) reduce (increase) the false positive rate but also power of finding SNP-trait associations. 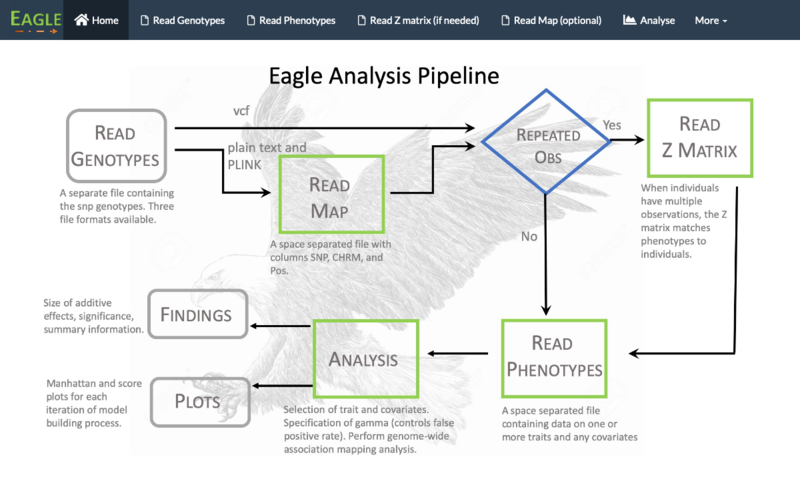 Eagle gives you two ways of analysing your data. One way is where you set the gamma value manually. This is the "quick" way. The other way is where you let Eagle find the gamma value corresponding to a desired false positive rate for the analysis. This way is slower as it involves permutation but it is the preferred way. Both scenarios are presented below. 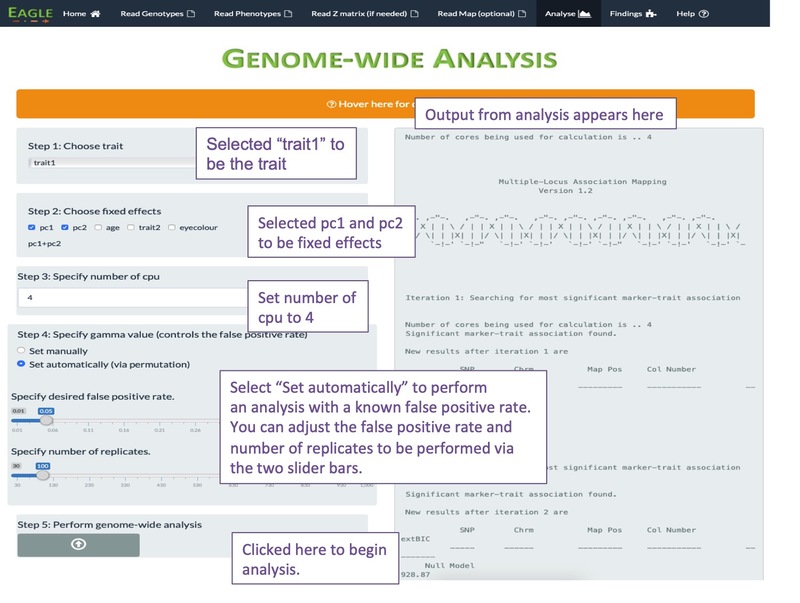 Scenario 1: Suppose you are interested in performing a "quick" preliminary analysis of your data. You can do this by selecting "Set manually" in Step 4. 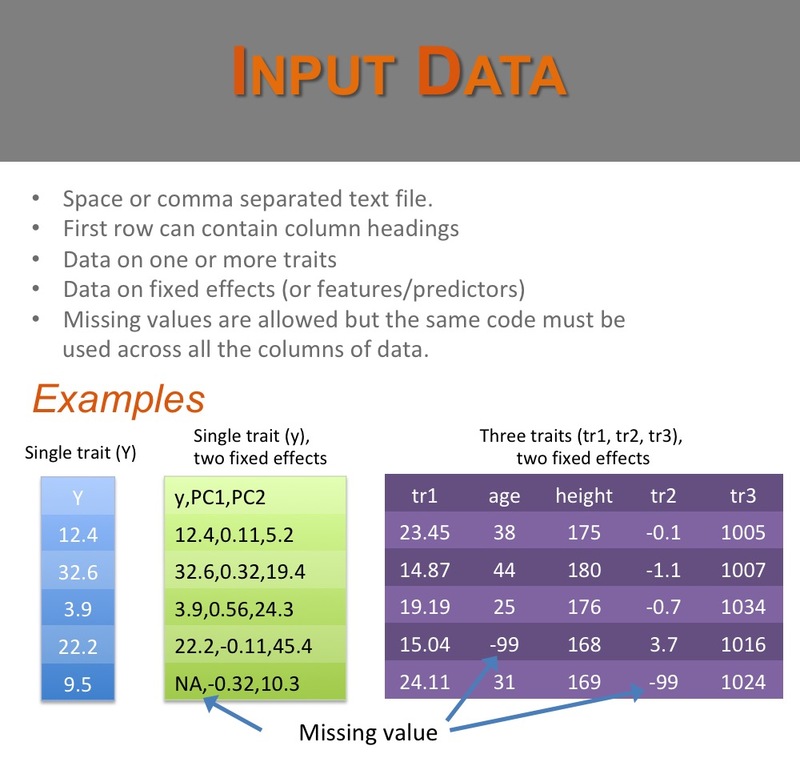 If the gamma value is left at its default value of 1, a conservative (low false positive rate) analysis of the data will be performed. If you want to make the analysis less conservative, move the slider bar for the gamma value closer to 0. This will increase the power of detecting SNP-trait associations but also increase the false positive rate. Scenario 2: Here, we have selected the "Set automatically" option in Step 4 to let Eagle set the gamma value via permutation. In this example, Eagle will find the gamma value that gives a false positive rate of 5% for finding SNP-trait associations. The analysis takes about five times as long to run. Below are the two pages associated with Findings. The first page (A) is what appears by default. It lists those snp, if any, that are in strongest linkage disequilibrium with the genes that are controlling the trait. That is, the snp listed are the snp closest to the regions of the genome housing genes that influence the trait. 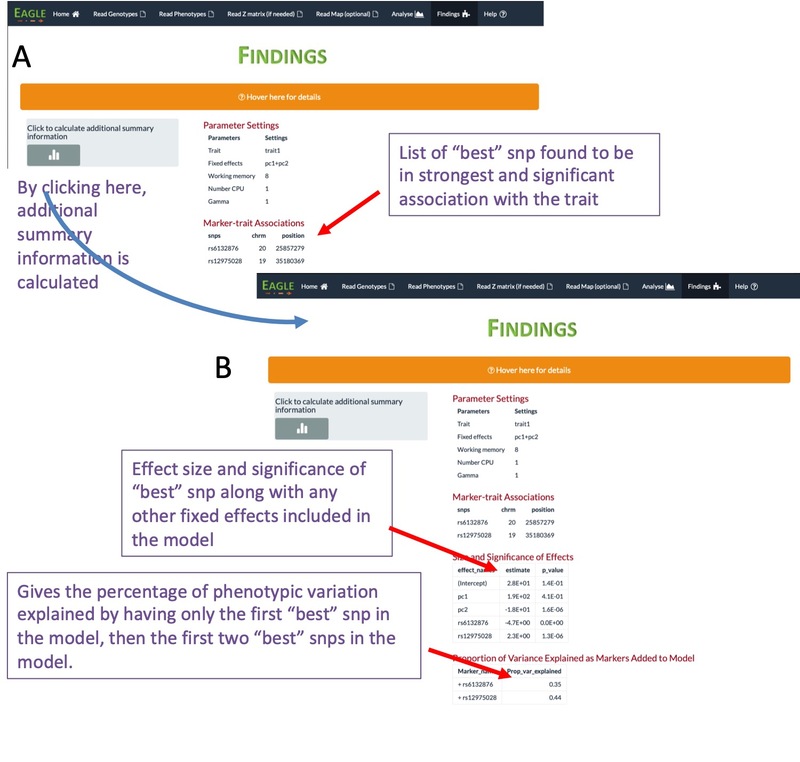 The second page (B) gives additional information on the (additive) size of the snp effects, on their p-values, and an estimate of the amount of phenotypic variation explained by the snps.